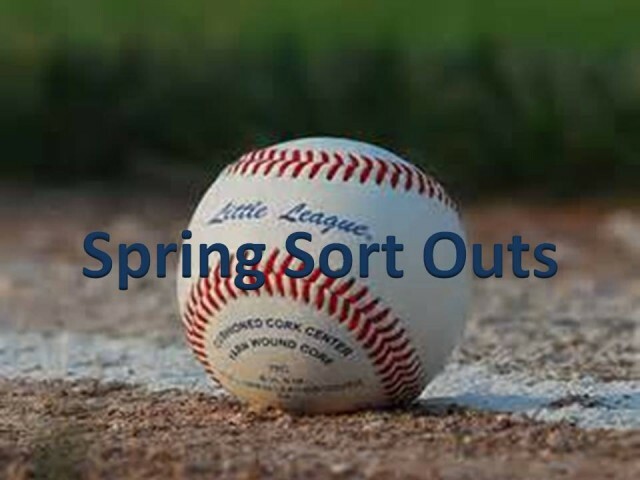 Updated Monday April 8, 2019 by Kanata Baseball Association. All registered players in Rookie House, Little League, and Junior/Senior League programs must participate in a Sort-Out. The goal of Sort-Outs is to evaluate players so that balanced teams may be formed. Players should come to the sessions wearing suitable baseball attire, including jock or jill, running shoes (no cleats allowed, indoor turf surface), glove and batting helmet. Players should arrive 10 minutes early for their assigned session and check-in at the registration desk. Each player will be assigned a number and directed through a number of evaluation stations. Players are free to leave when all stations have been completed. Sort out sessions are mandatory for all Rookie House players. If unable to attend your assigned session, contact your convener at rookie@kllba.ca. If unable to attend, please contact the convener ; players will simply be placed on a team.